Imagine the anticipation you feel as you’re counting down the days, waiting eagerly for what you’ve ordered online to arrive, as you know just know you’ll be surprised; opening the box will be a new and exciting experience in itself. And imagine what you feel when you finally get your hands on the limited Vidal Sassoon products. 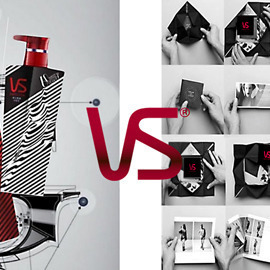 Surprise and excite young fashion addicts with special limited edition Vidal Sassoon bottle design and make opening the specially designed packaging an exciting experience that they will love.